Home Blog Happy Healthy Valentine’s Day! 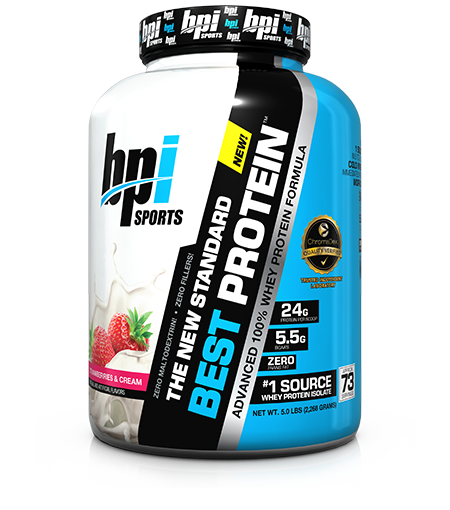 Chef Geo of ProTreats shows us how to turn a healthy, protein powder-based recipe into a decadent Valentine’s Day treat with the help of BPI Sports Best Protein™—The perfect blend of high-quality 100% whey proteins that’ll seduce your tastebuds in just on sip! One scoop of this superior supplement has 24g of protein and helps build lean muscle. So in other words, it’s the dessert that loves you back! 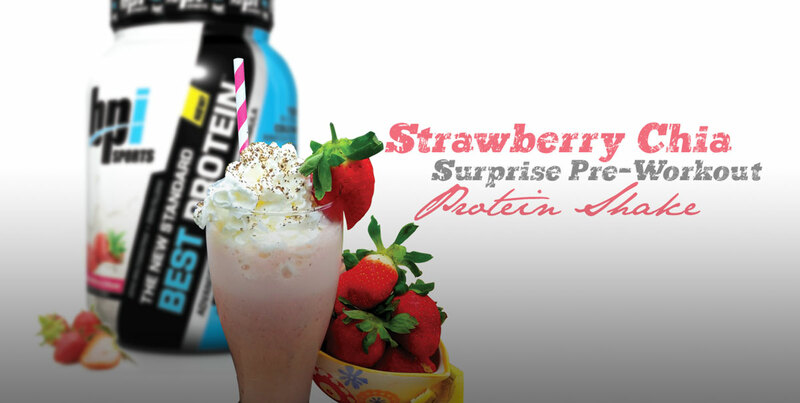 So grab all of your ingredients from your creamy cashew milk to your enticing strawberries and don’t forget your Strawberry Cream Best Protein™. It has no fillers or food additives, just delicious taste! Simply place all of your ingredients in a quality blender to make sure everything is mixed in properly, so all of the important nutrients are released. You’ll get a rich, smooth texture that’s simply irresistible. Add ice for a thicker and more decadent healthy dessert. Top off this healthy Valentine’s Day dessert with none other than America’s favorite topping: whipped cream, of course. The creamy dollop will add creaminess and gloriousness to your drink. For a crunchy kick, decorate with more chia seeds.